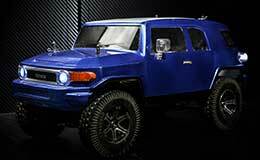 LED and light kits are excellent ways of making your RC car stand out. Killerbody, Boom Racing, G.T. 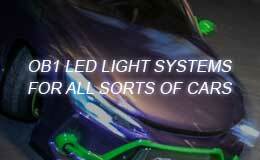 Power, and oB1 RC all has some amazing LEDs and light kits! It is a good light kit, limited on what lights come on and off. Lights turn on in sequence so you cant have different lights on when you want them. What a pleasure, great fast response to emails, up to date order status will use again and recommend them highly, great work guys. Lots of functions, works great. ob1-RC has been in the RC LED business for a while, and it's no question why they're still widely known for their LED products. Providing some of the most professional and reliable LED systems available in the market, ob1 RC prides themslves on their LED systems and the wide range of functions they provide. All of their products can be utilized in a wide variety of car types, and they'll provide more than enough space to completely bling out your car to perfection. 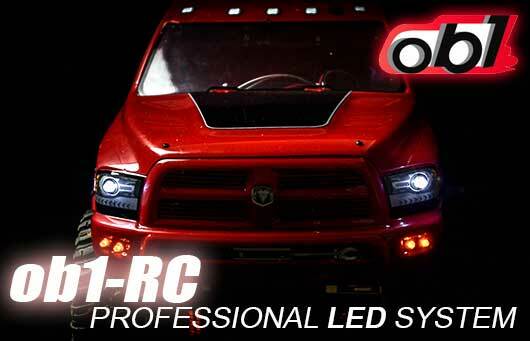 For a sturdy, well-made LED system, ob1 RC is the company you need to find.